How the cloud benefits the medical industry? It cannot be denied that cloud computing has many benefits for organizations as well as enterprises all around the world. Nevertheless, some people may not know that the cloud is also making advances in the medical industry. 1. Cloud computing helps the healthcare industry gain greater reach. As said by experts, it’s not easy to give the present doctors the information they need, or to getting the necessary pros to the places they need to be in the event of disaster. It is claimed that having the capability of consulting with one another, keeping each other updated on the status of a disaster victim’s condition, or sending requests for man-power or additional resources can be seen as the difference between a life saved or lost. Nowadays, with the help of cloud computing, it’s possible for an on-site doctor who has very little experience in surgery to get the real-time guidance from an expert to perform a field surgery, for instance, with all the present medical equipment that transmits real-time information from one source to the next with the aim to make sure that the best work is done. 2. Cloud computing can bring better collaboration. 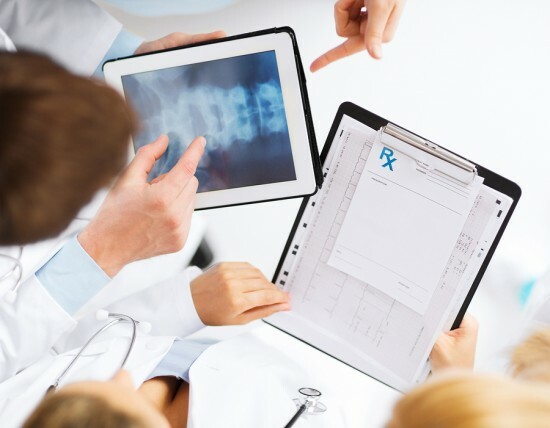 For medical industry, collaboration is quite an important factor. This makes cloud computing a perfect companion in the field. Pursuant to what experts said, cloud computing enables pros to store and access data remotely, which helps healthcare pros from anywhere in the world have the ability to immediately access to patient data, as well as apply the necessary care without delaying. Apart from this, up-to-the-second updates on patient conditions and healthcare developments, remote conferencing, etc. is giving doctors the ability to save those precious life-saving minutes. 3. Cloud computing can help in improving medical research. According to experts, much in the way big data is help doctors treat their patients in better and more effective ways, cloud computing makes it possible via storing as well as sharing data in order to help the research process to be conducted more quickly. With the ability to gather outside data from a wide variety of fields, data analysts are able to make use of cloud computing with the aim to pool this data as well as condense it into better results, which helps the medical pros gain a clearer and more advanced image of the subjects that they’re researching. As said by experts, these sort of advances are the kind that cure diseases as well as improve the kind of care being given. Previous post: How to fully reap the benefits from the cloud? Next post: How to align hybrid cloud with business goals?